i have a problem with my N91. my profiles doesn't recognize the songs in my hard disk. i mean it could not detect the songs coming from my hard disk. so my only option when I'm selecting a tune in my profile my only options are the featured tunes. the mp3 song does not appear there. i have already tried to format both the phone and the hard but still it doesn't appear. what should I do? hope someone will reply. cause i really to fix my phone..
Is this is a right choice for me? Kindly help me out. I bought N91 8GB ME, the problem I got is, my phone hangs atomatically im many circumstances. --> While I send bulk message say for 30 friends. Can anyone help in this issue please. IS the crystal case is available for this model in market? Mahesh, what's the model number of your N91? Is it N91-1 or N91-5? If it's N91-5, then it doesn't have Wireless LAN and 3G, unfortunately. thank you very much for the tips, but reading the first 2 paragraph already confusing enough for me...I'm not a gadget gizmo and i don't know anything about software upgrade. It's like i know how to drive a car but i don't know anything about the engine or how to fix it(i'd just bring it to a mechanic). I think you're trying to say that it is a good phone but there are requirements that consumer must do before it become a really good phone. then i'd still consider it as a defect or flaw. i'm the kind of people who tear a package up from the box and use it right away with the expectation that it is capable to do things that it claims capable of. but still,...thanks again for the tips. it was good at first, everything work properly. but after i downloaded a couple hundred songs(which still far from 3000 songs that it claims can store), took some pictures, entry notes on its calendar, and some other files, everything started to slowing down. Everytime i send a message, the phone will freeze for about 5 minutes (it's worse when i send multiple messages to a group of people). opening any files take a lot longer than before. battery life depleted fast. and when i set an mp3 song for a ringtone, it gets worse, an R&B song will sound like a car crash accident. the phone restart itself a lot for no reason. I'd say this product isn't mature enough. need lots of improvement in its capability before claiming whatever it claim capable of. Does the N91 8GB have better or worse sound quality than the NEW Apple Ipod Touch? if ANY of you have heard both these whats the verdict? the N91 8GB is old so surely this new ipod is sonically better? The only thing to say abt N91 is its rocking . the best phone ever launch by the company . i need to know how i can find the mac address of the wifi, please somebody help me. to all who have gud bucks in their pockets, just go for it ....it's the best phone ever launched by Nokia...truly more rocking than all of the other phones present in the market..don't ever tend to compare a baby like 5700 with this grand daddy of all phones....and also one of the loudest phones ever created....just go for it ...man!!! hey can anyone tell me thet where is the log file of installed and unistalled applications i want to delete that file and i also have a file explorer !!!!!!!!!! 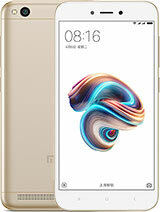 is n91 8gb a good fone? i wanted 2 buy dis fone but some people r sayin dat dis fone hangs always n it has many bugs. even give me da disvantages of dis fone. & say me which is best 5700 r N91 8gb. pls giv me ur HONEST opinion. kidnly i need advice about that phone with it's all advantages and disadvantages. I did full format of HDD and that solved my problem of reinstallation of applications. Still I've not done hard reset of phone. Just I'm curious to know where registries of each installed applications are stored and how we can delete that? For PC many applications are availalble for cleaning registry. Do anybody know similar application for symbian S60v3 ? I formatted complete hard disk and cleaned all possible folders fron C: drive including Registry subfolder in Data/install folder. Still for each reinstalltion of application, first I'm asked whether to replace the earlier installation?